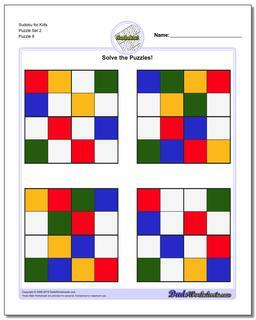 What is Sudoku for Kids? 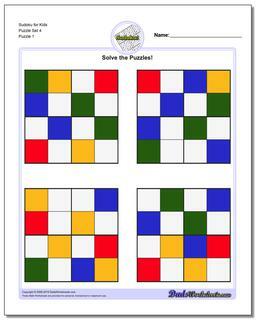 The puzzles on this page are designed to introduce kids to sudoku style problems, which involve eliminating choices from a set. 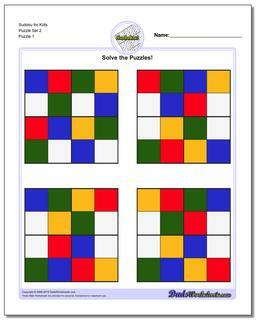 This is basic problem makes up many types of logic puzzles, including sudoku. 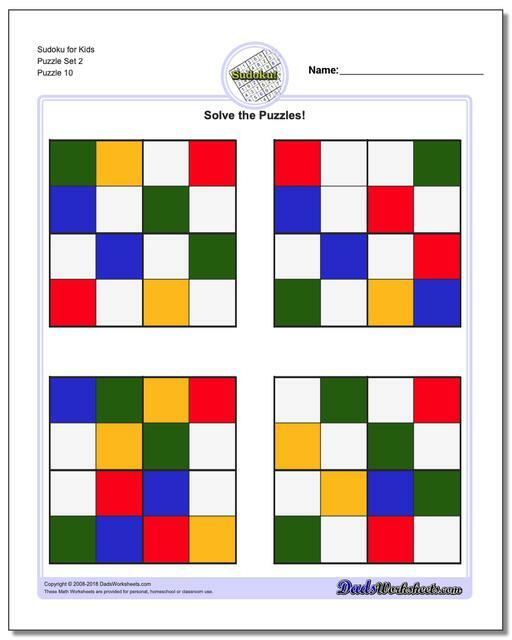 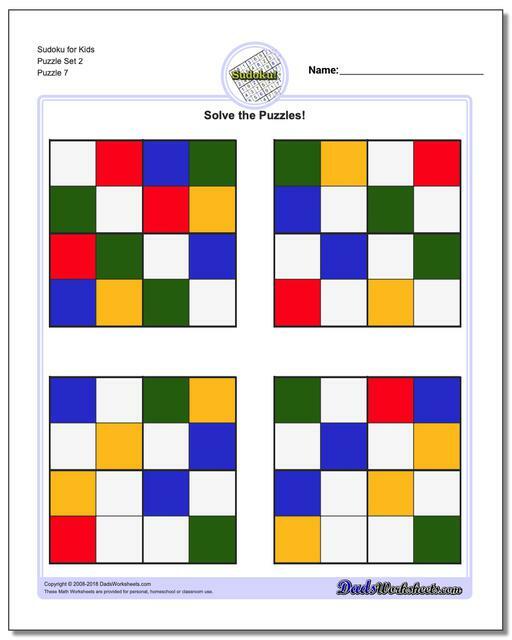 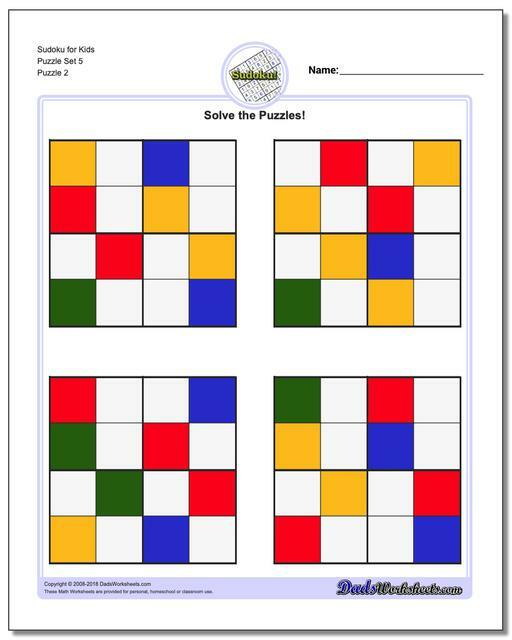 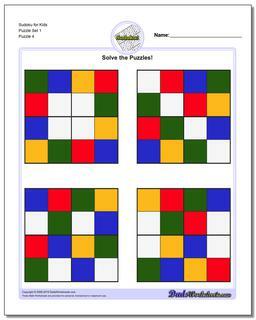 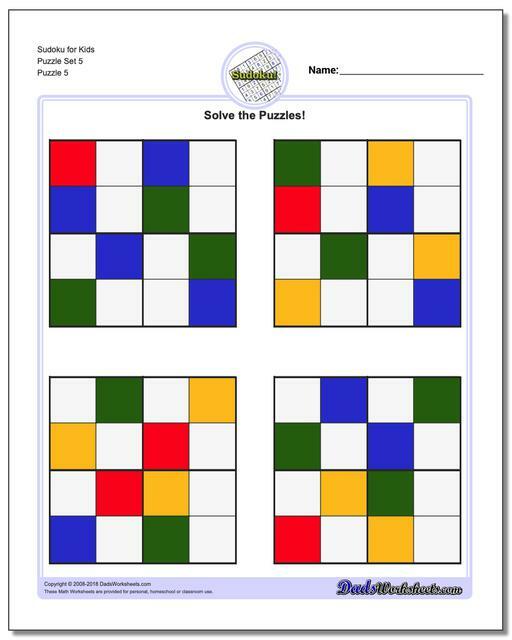 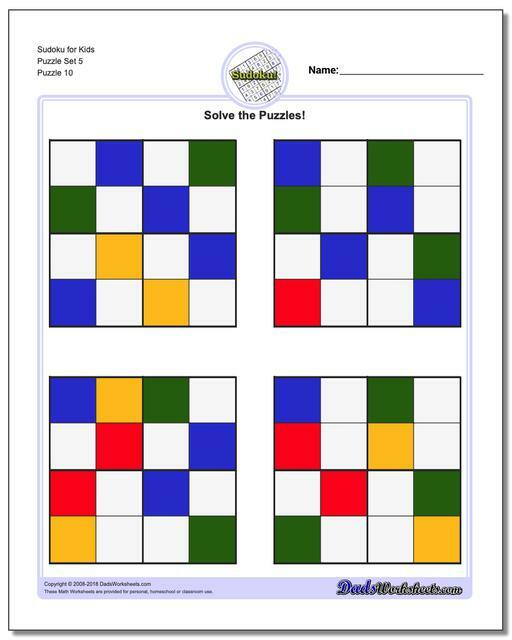 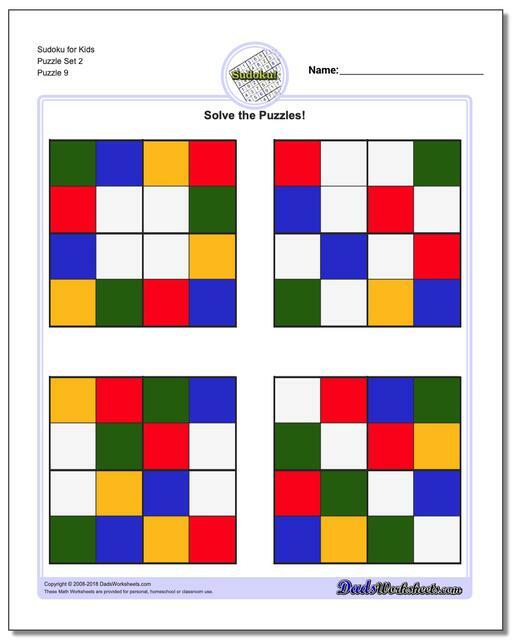 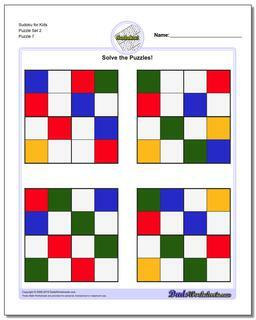 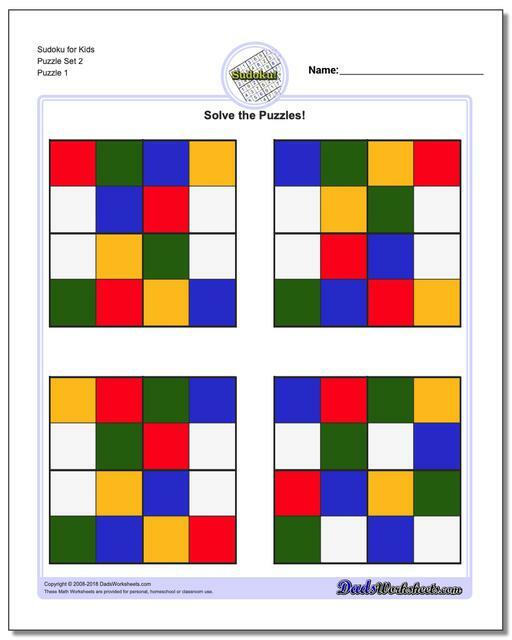 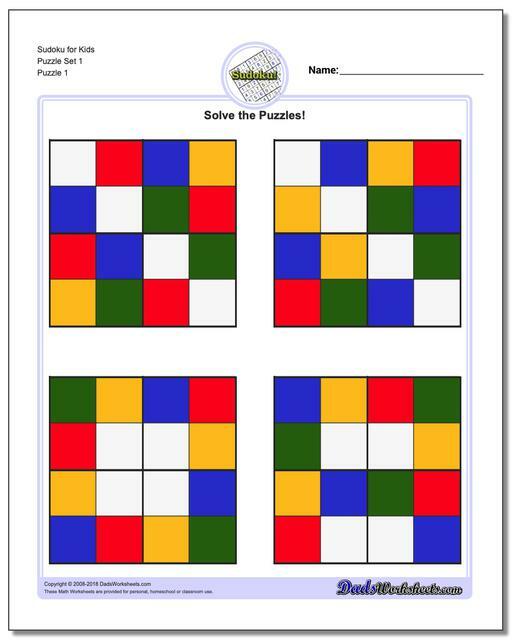 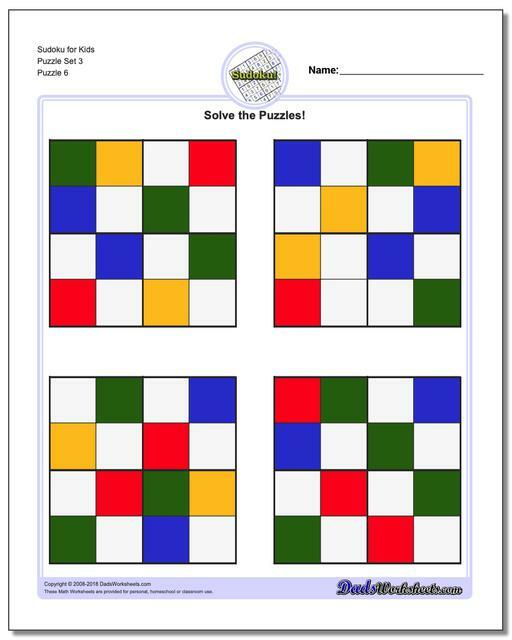 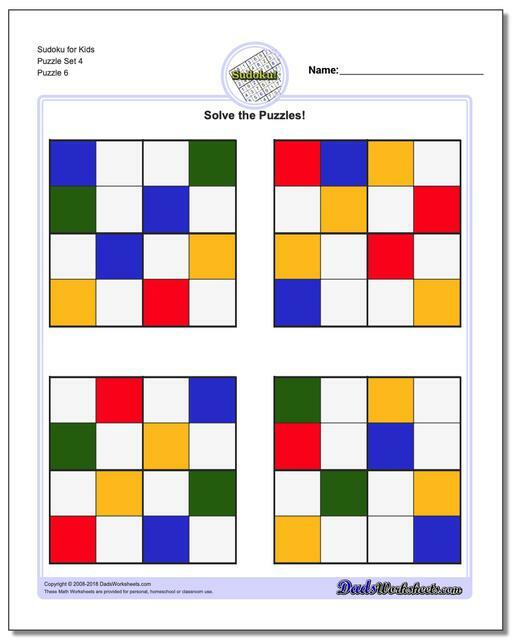 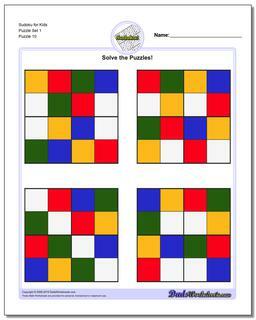 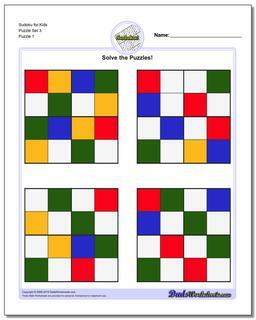 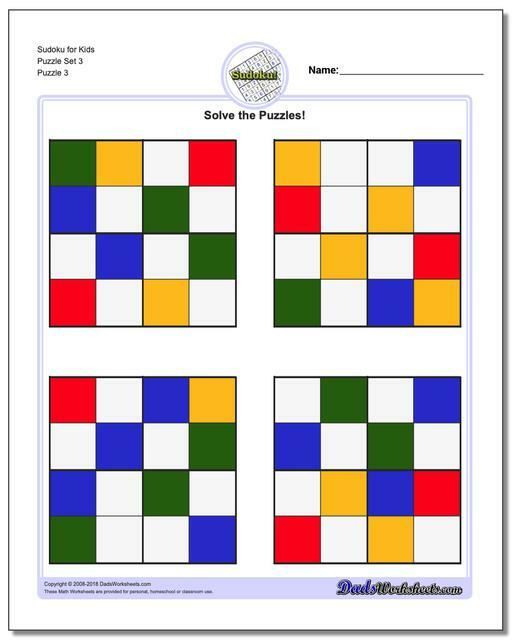 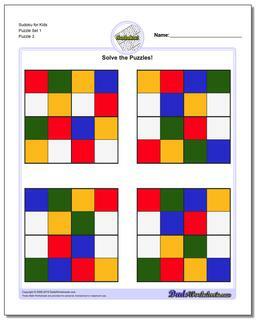 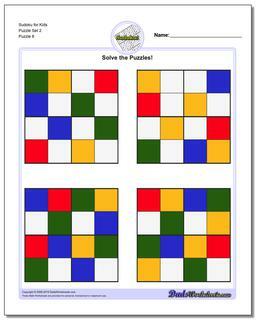 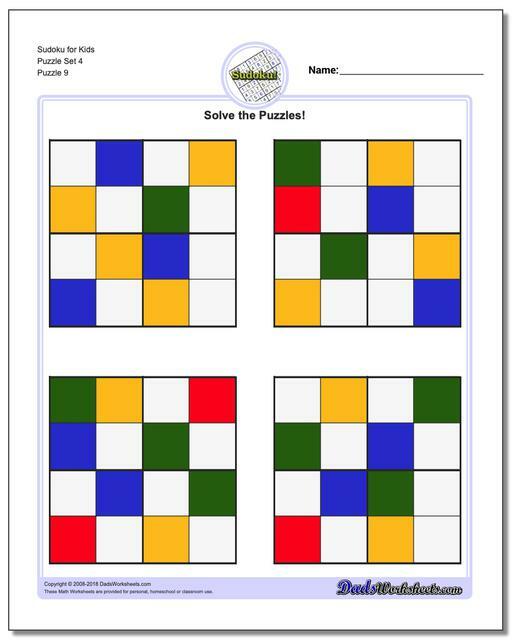 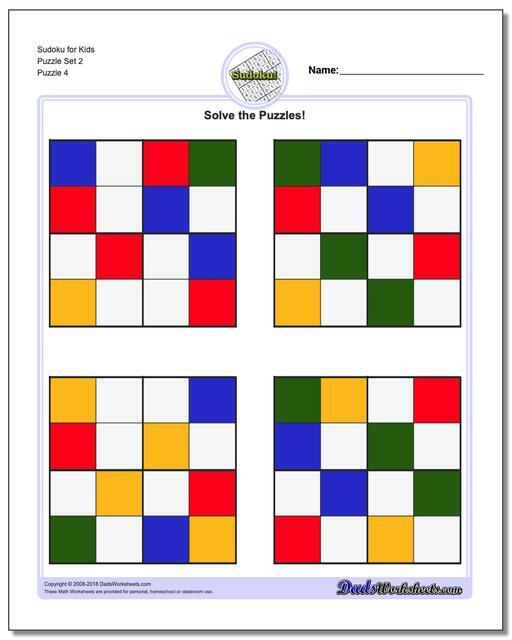 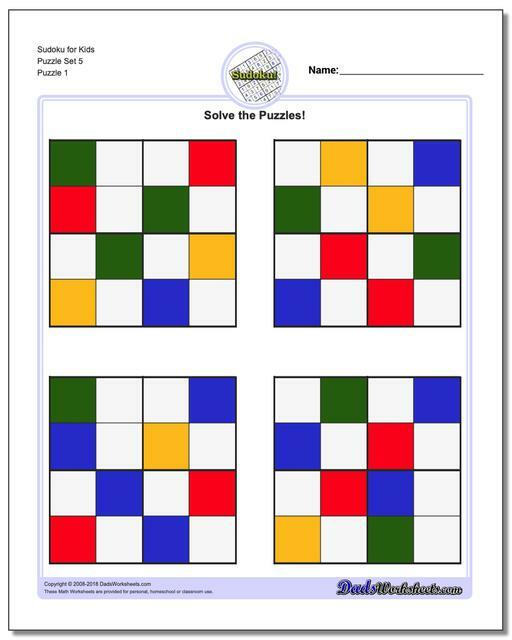 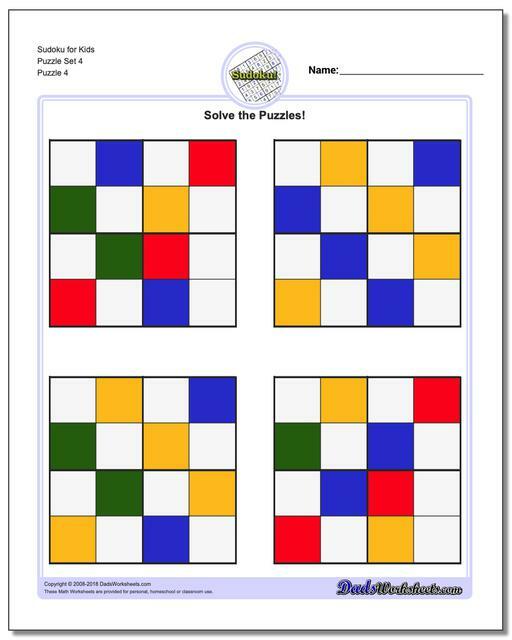 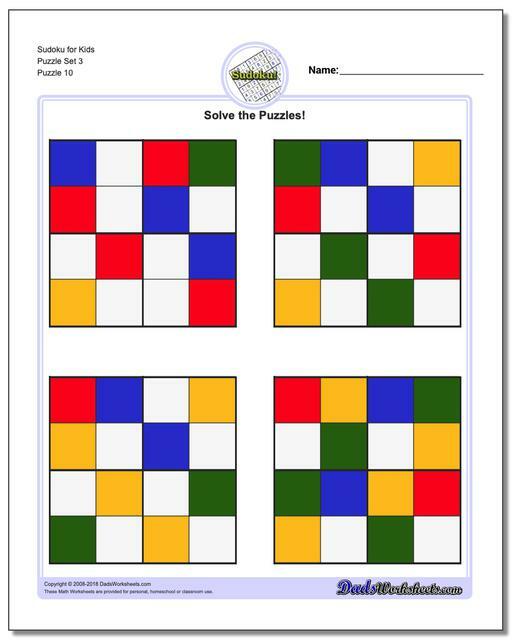 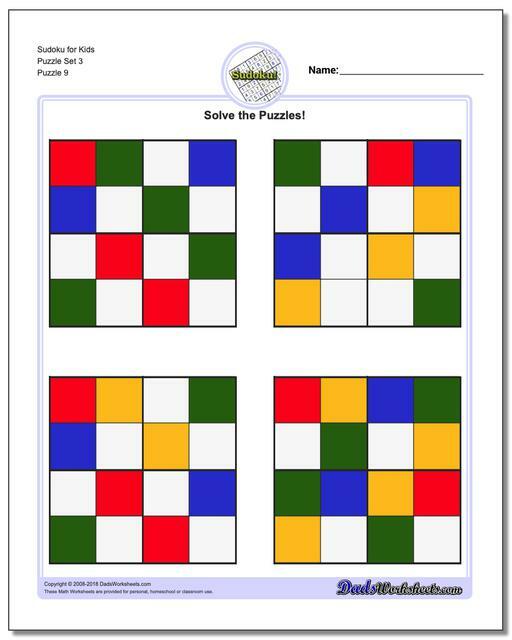 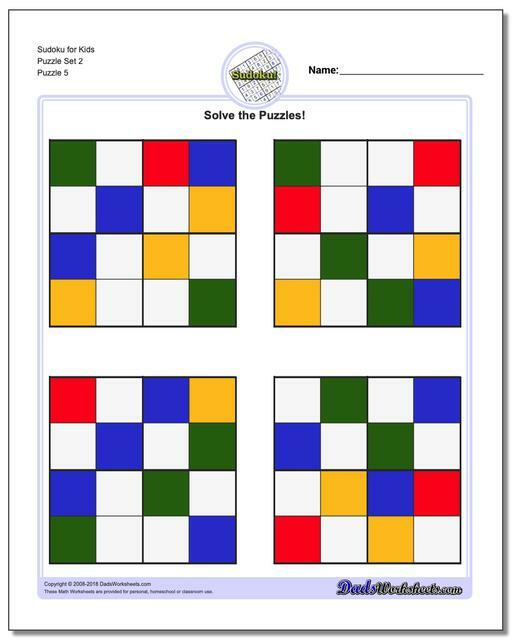 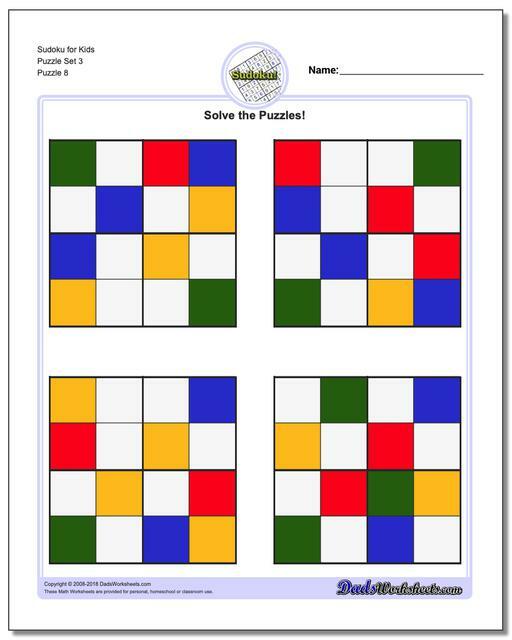 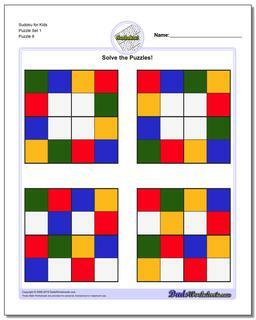 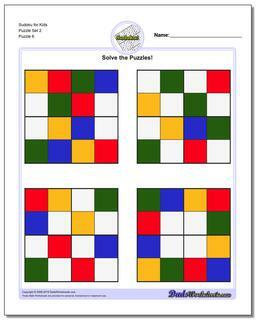 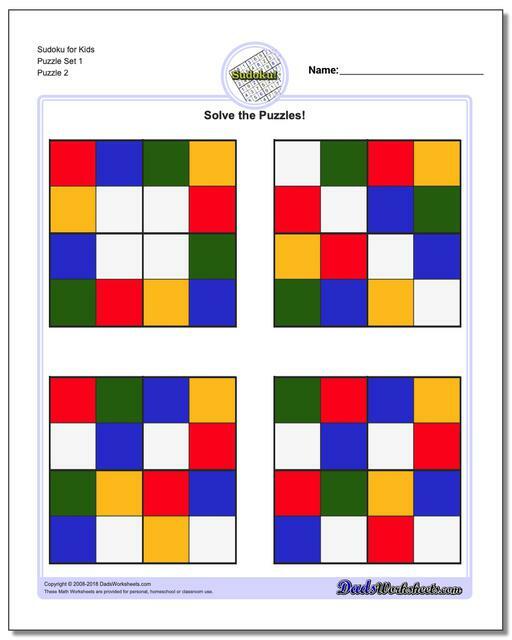 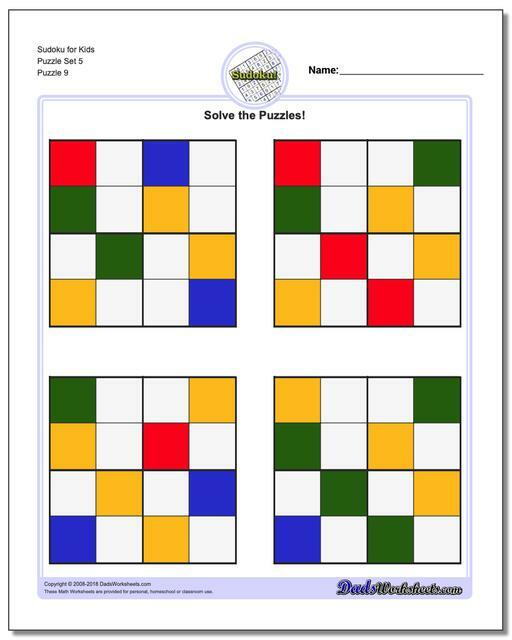 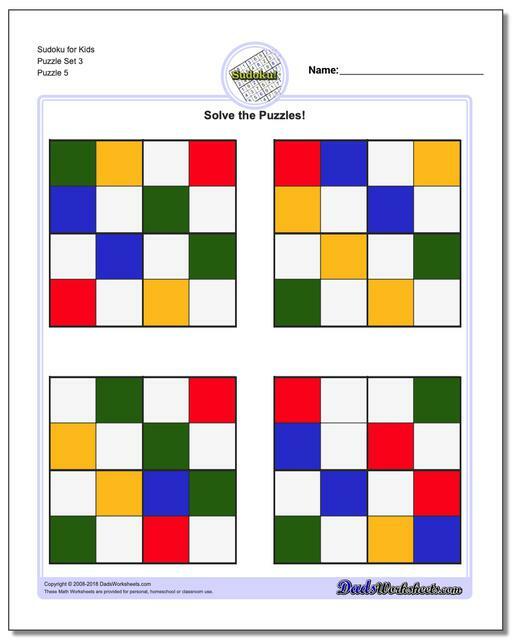 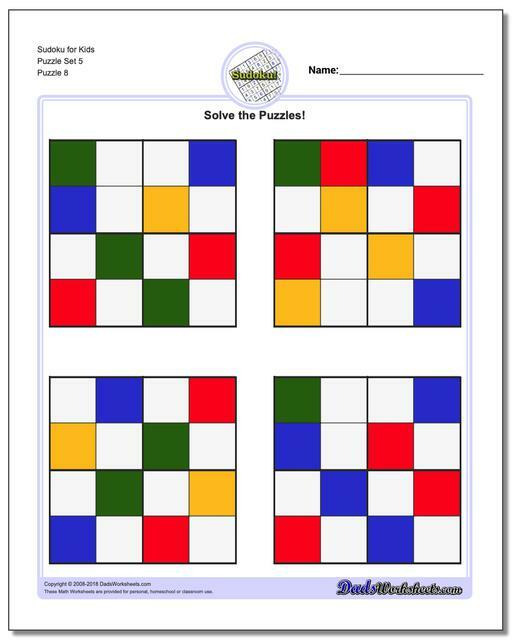 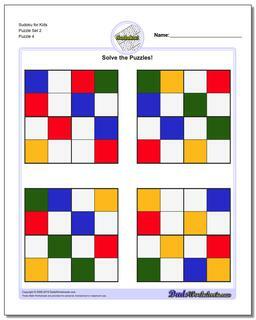 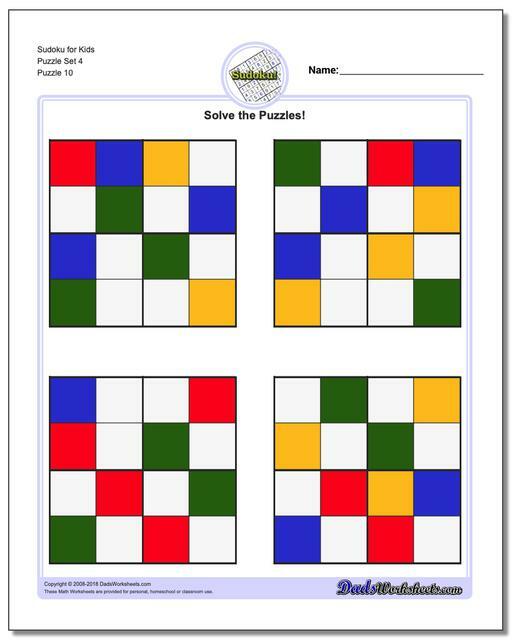 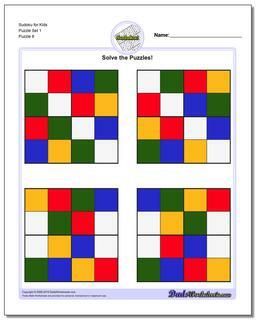 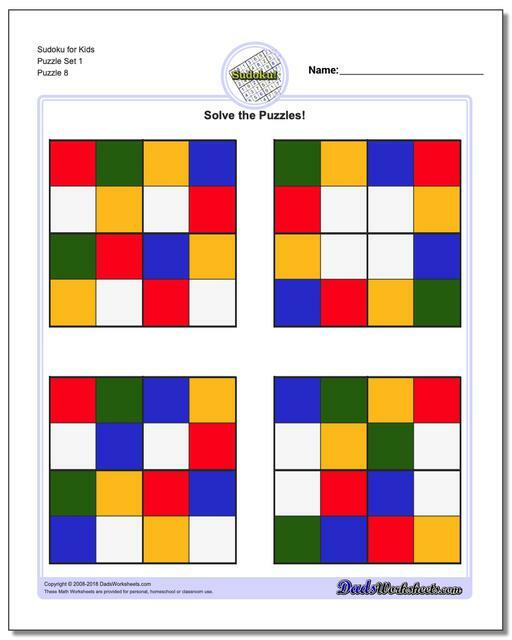 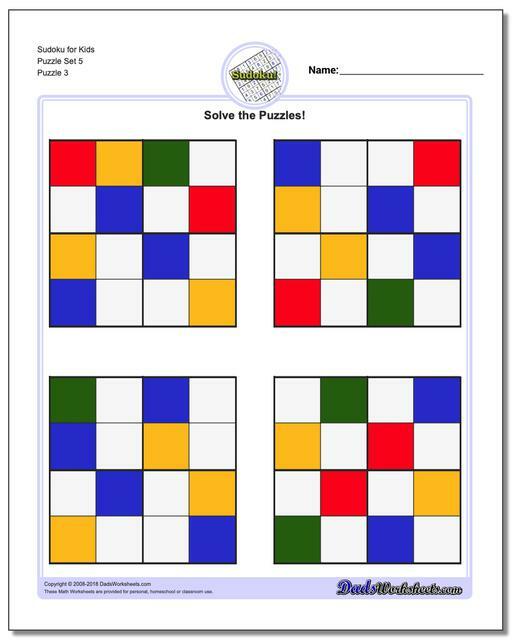 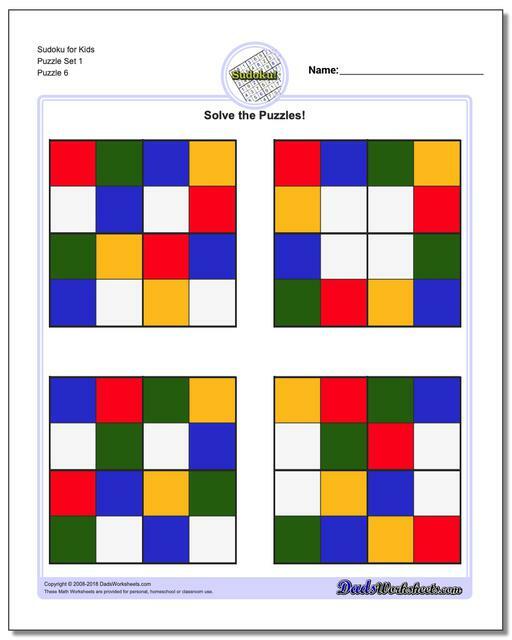 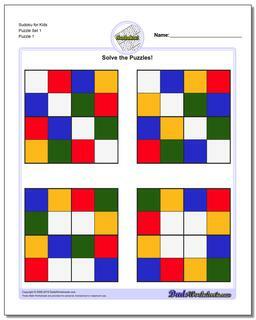 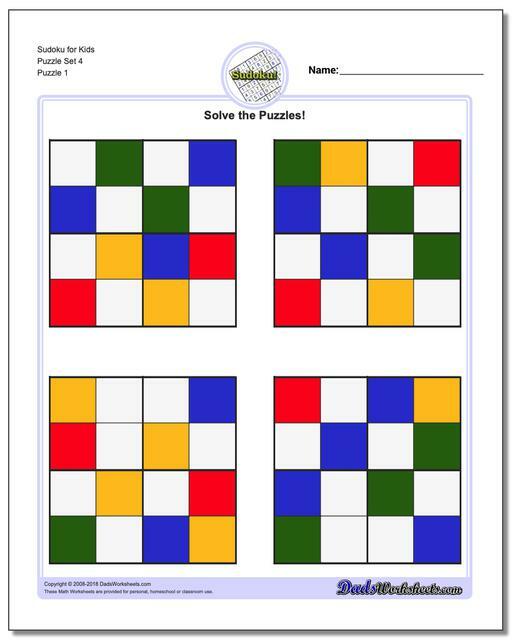 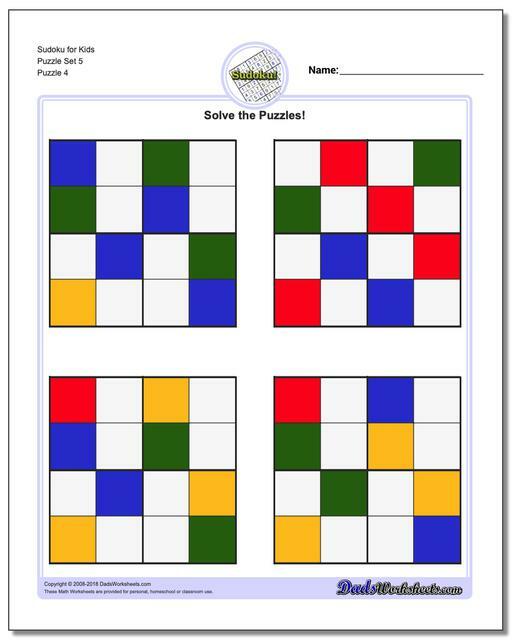 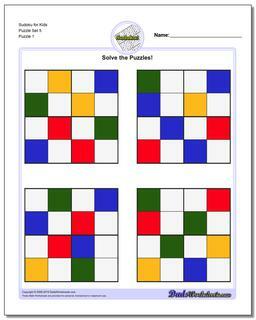 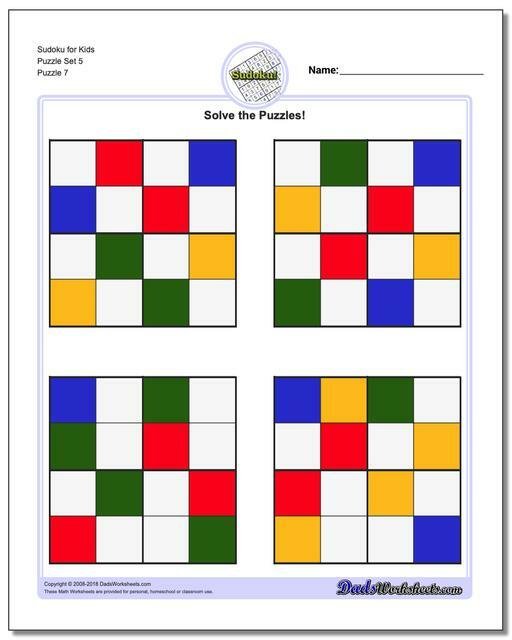 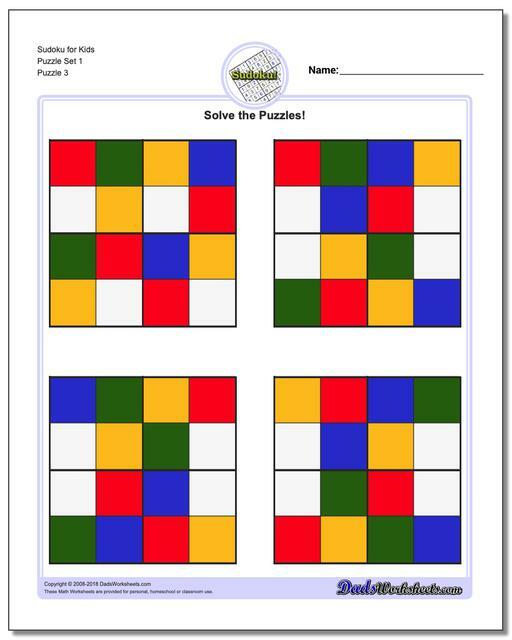 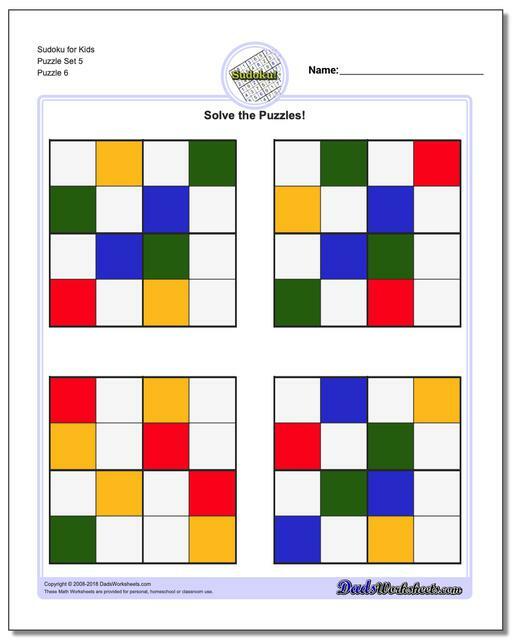 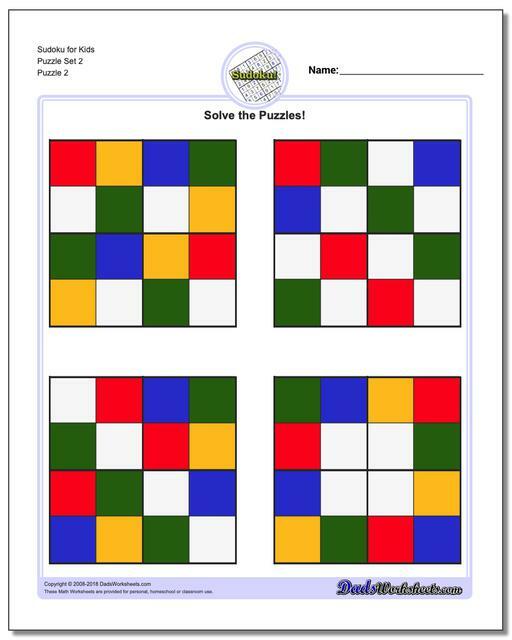 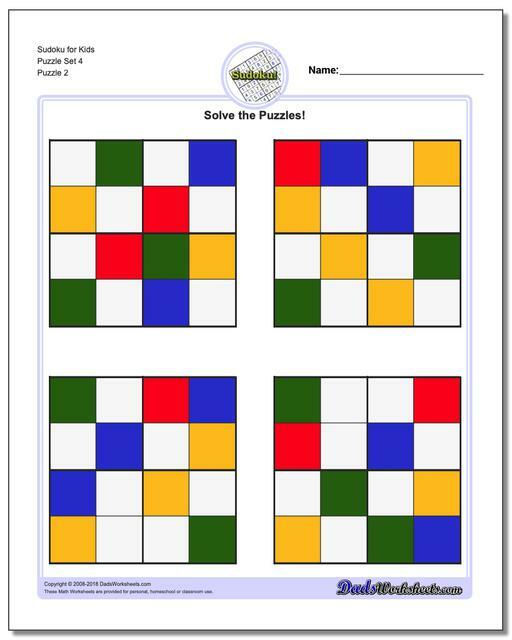 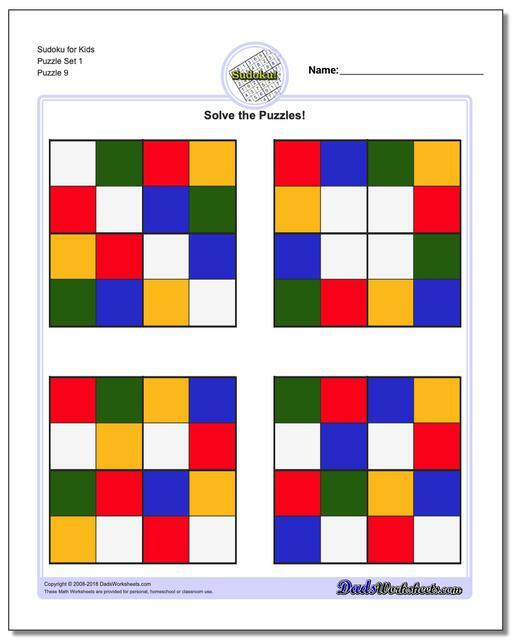 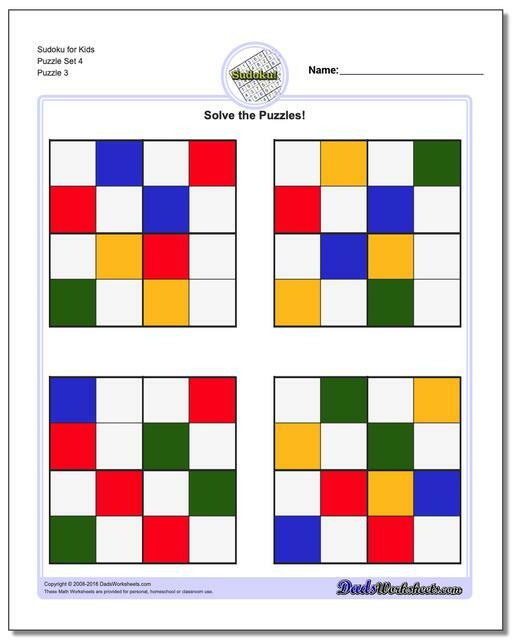 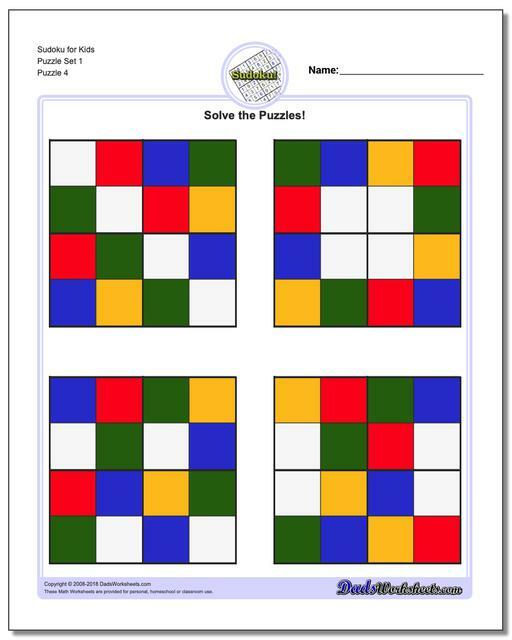 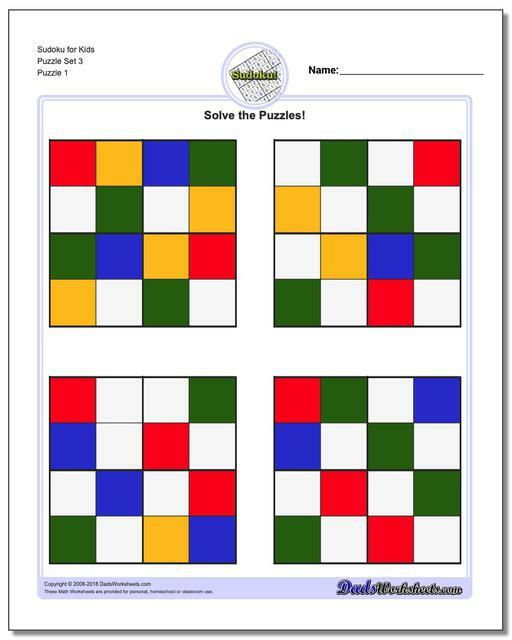 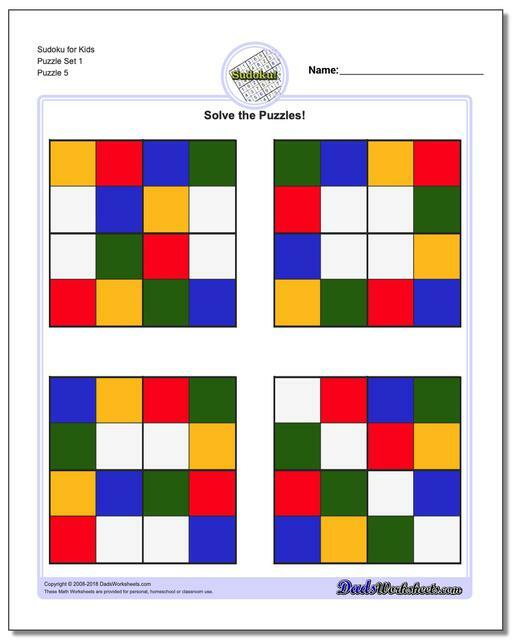 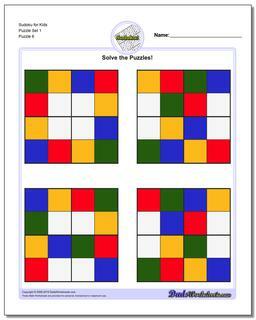 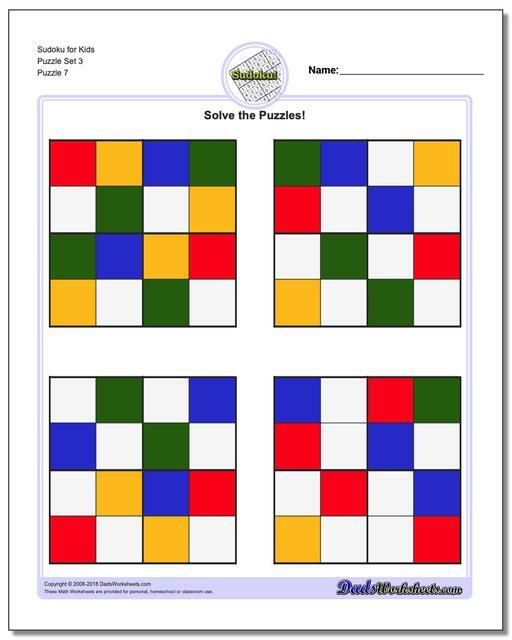 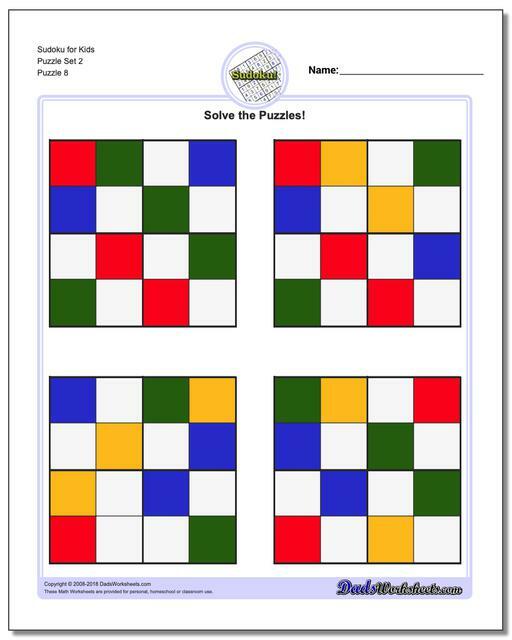 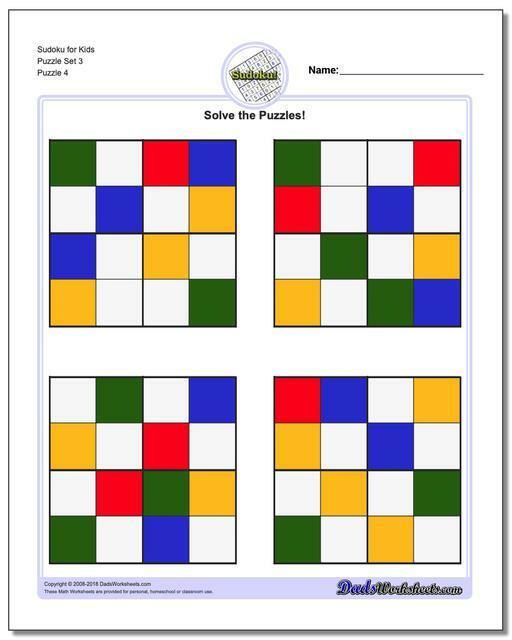 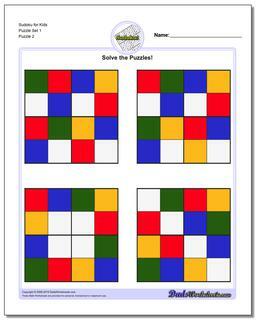 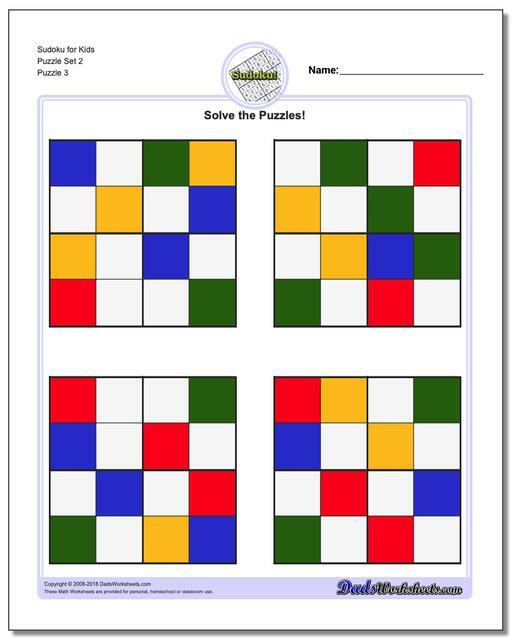 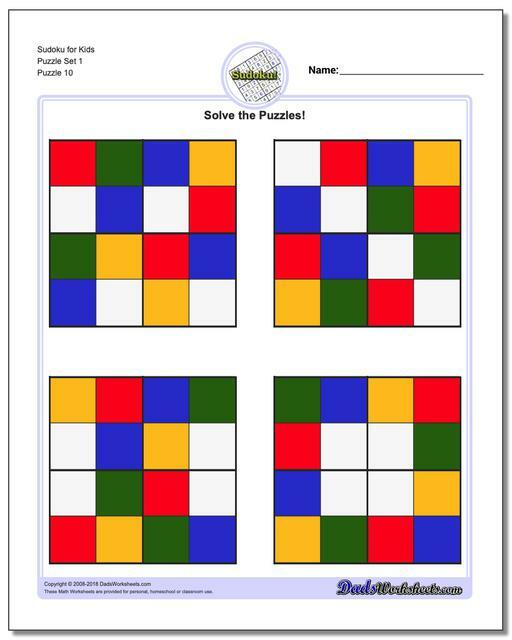 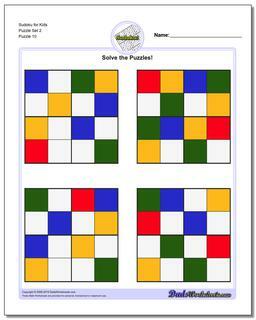 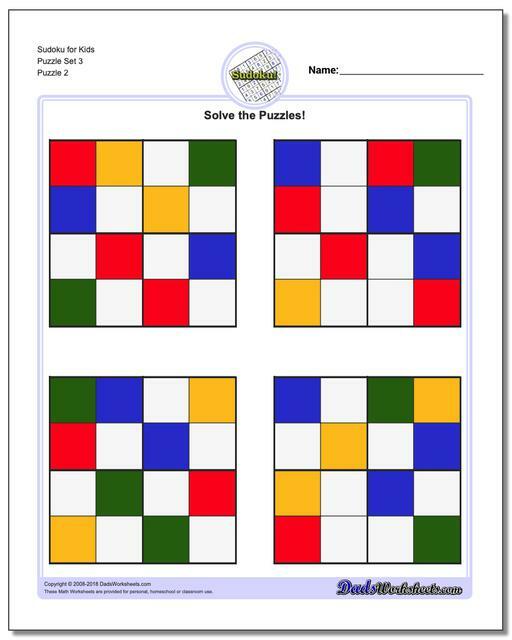 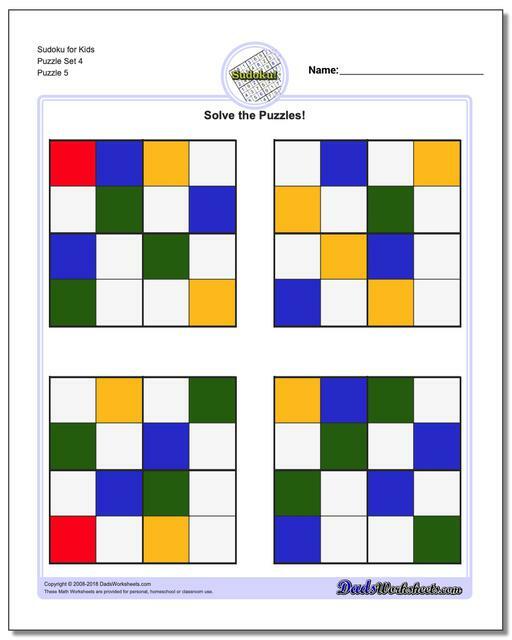 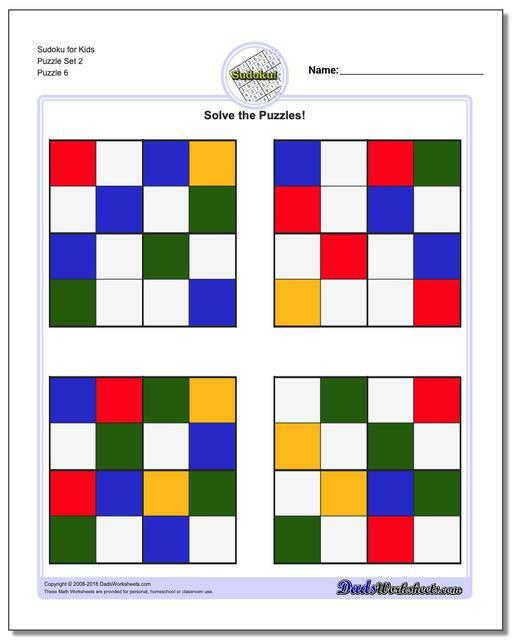 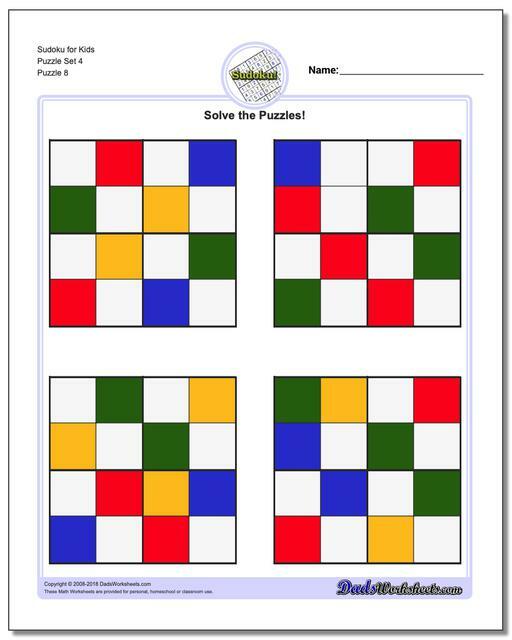 Unlike regular sudoku where a problem is divided into units of nine, these kid-sized puzzles deal with groups of four and colors are used instead of numbers. 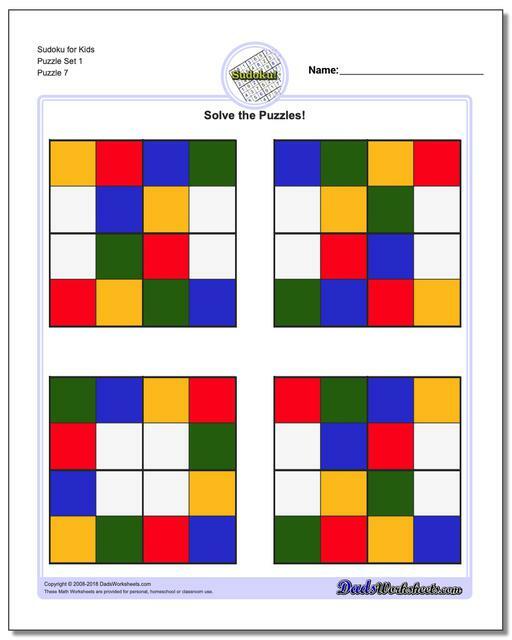 Just like in regular sudoku, kids have to find the colors that are allowed in a blank space based on what other values are found in the current row, column or neighborhood square. 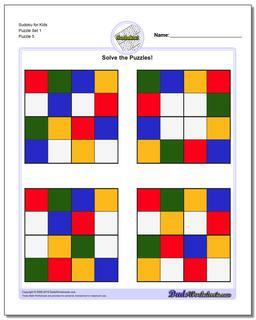 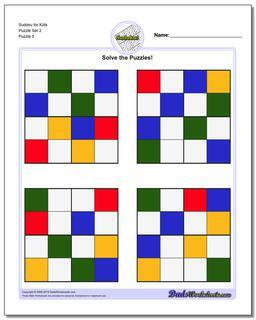 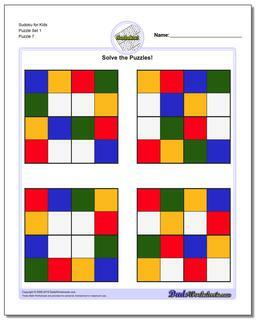 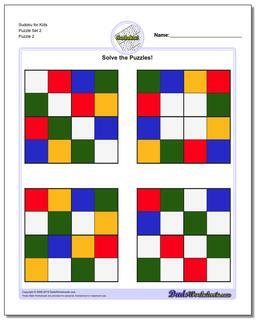 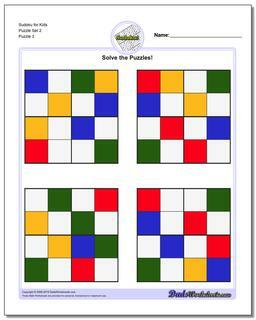 If you want to introduce sudoku to kids in 3rd grade, 4th grade or even younger, these puzzles are a perfect start. 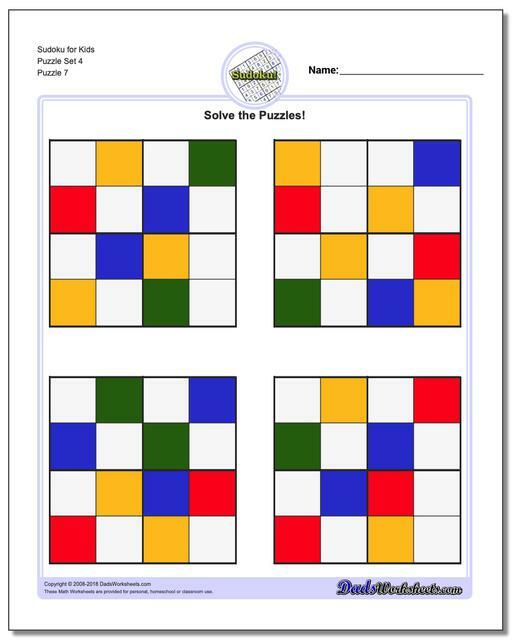 Once kids understand how to work these kid-sized sudoku puzzles, they'll be ready to move on to easy puzzles that use numbers instead of colors.